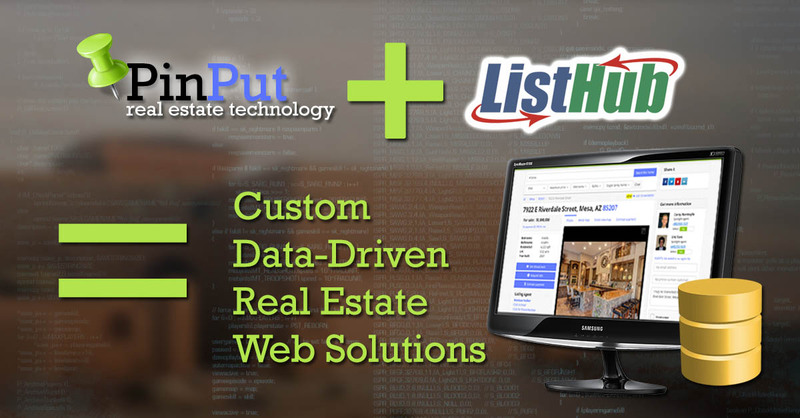 Pinput Real Estate Technology is a technology leader in providing real estate web services, API access to real estate data, and real estate websites. Made up of former Microsoft engineers, we pride ourselves in building the best technology for your online real estate needs. Below you will find out more about what we offer, as well as information about our team and purpose. We build real estate tech. The Pinput site you’re currently on is a sample website for consumers to find real estate in the Phoenix, Arizona areas. It is designed to deliver a template to users to shop around, and experience what we can build. PinPut's technology is designed by former Microsoft engineers who each have more than 15 years with Microsoft itself. We know SEO, we know technology, and we're applying it to the real estate market. Pinput has interviewed many real estate professionals, lenders, and consumers to find out the pain points in this industry, and thus solve them, including features such as “Sticky Agent” ™. We will continually be updating the site in the upcoming months with new and better features. We've taken our technology and created an entire services layer to our real estate technology. Our goal and philosophy is to deliver a great product to the consumer, and a great deal to the real estate professional. We're always looking for input and feedback. PinPut is actively seeking investment opportunities. We have several offers and are seeking the perfect match. Please contact us for possible investment ideas and let's see what happens!